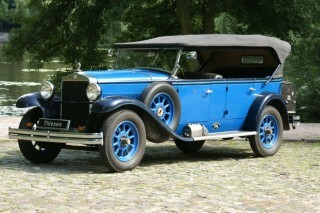 Ransom Eli Olds founded the Olds Motor Vehicle Company in Lansing, Michigan, on 21 August 1897. 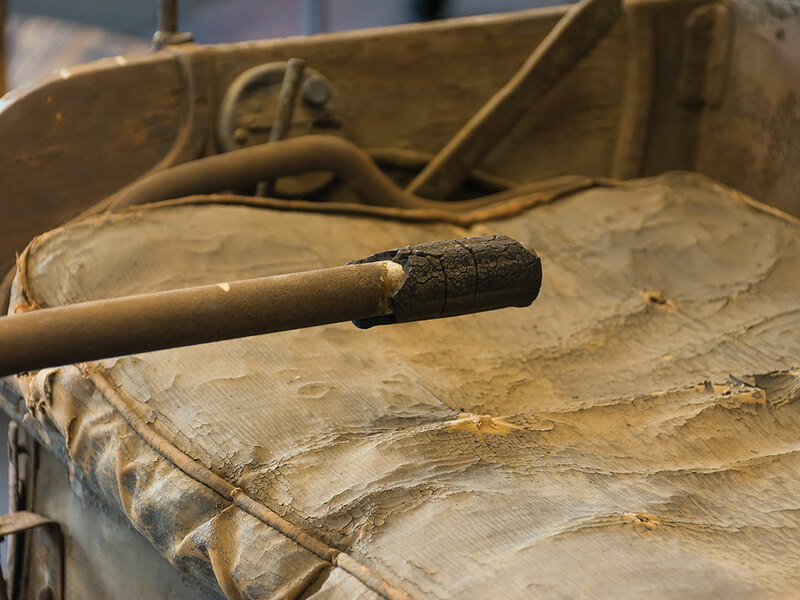 His automobile company was the first in Michigan organized solely for manufacturing and selling motor vehicles. 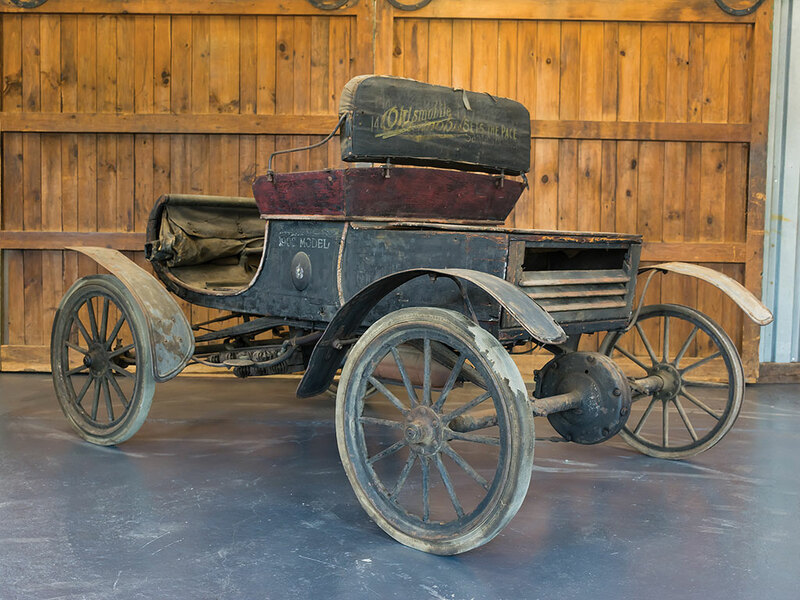 By 1903, Olds was a bit of a veteran in the fledgling business. 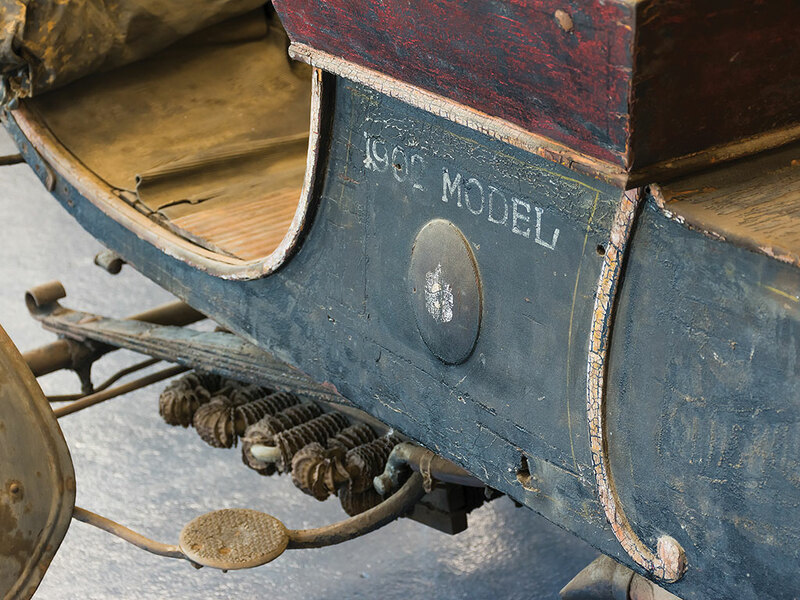 He tested his first car, a steamer, in 1887 with a gasoline car soon to follow. 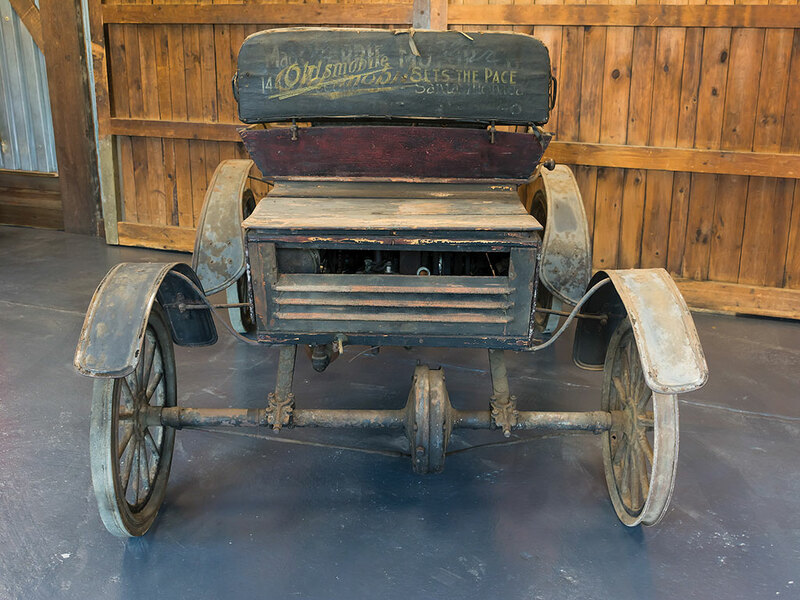 The Olds Motor Vehicle Works was capitalized in 1899 by a wealthy lumber merchant, Samuel L. Smith, while Olds himself set about the development of several different models, including electric vehicles. 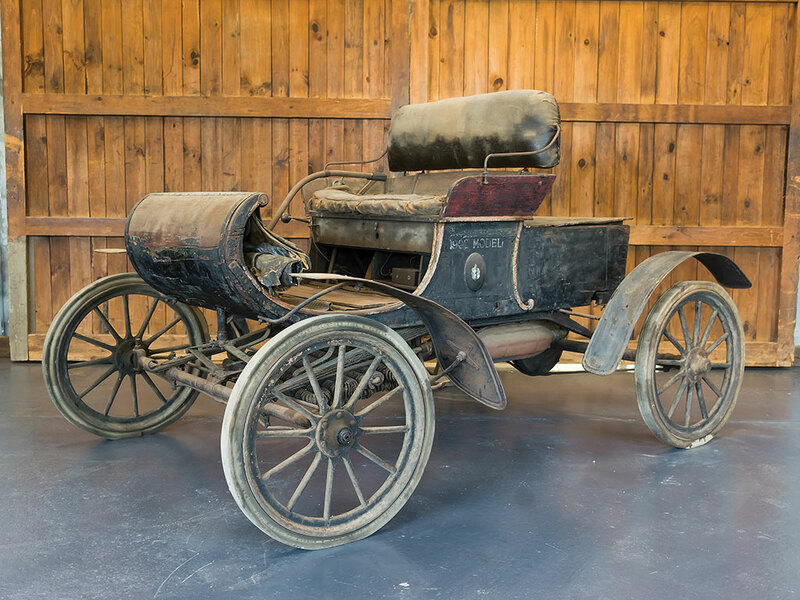 It was not until the factory burned down on 9 March 1901 that Olds focused his attention on the surviving car, a gasoline runabout – the now familiar Curved-Dash Oldsmobile (CDO). 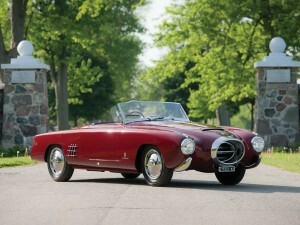 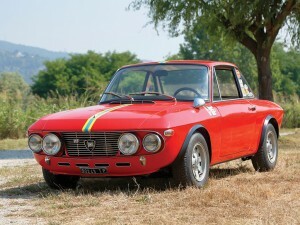 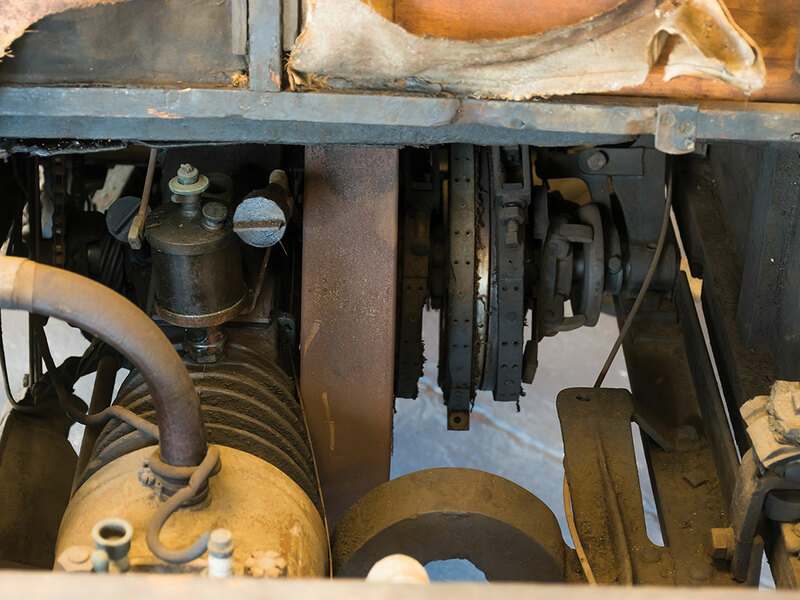 The car was powered by a single-cylinder engine and fitted with a spur-geared, two-speed transmission. 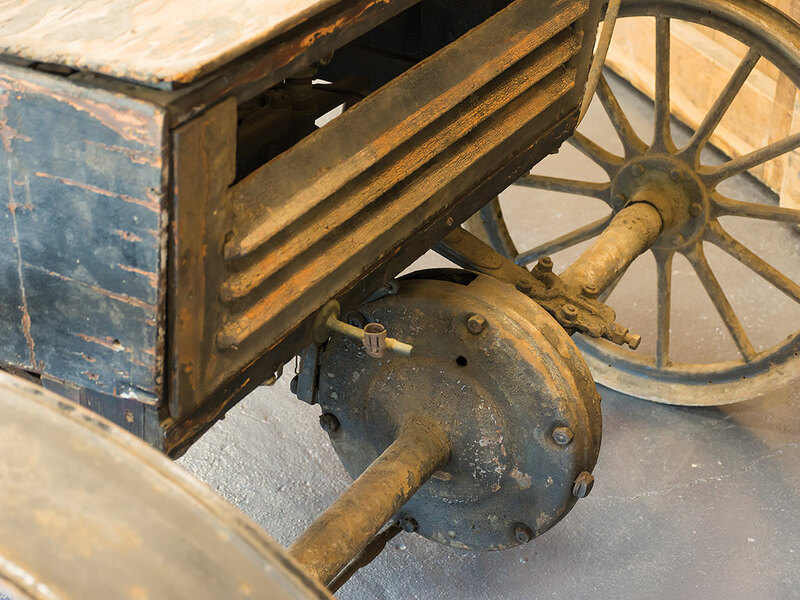 The simple engine produced 4½ hp at 600 rpm and was capable of a top speed of 20 mph. 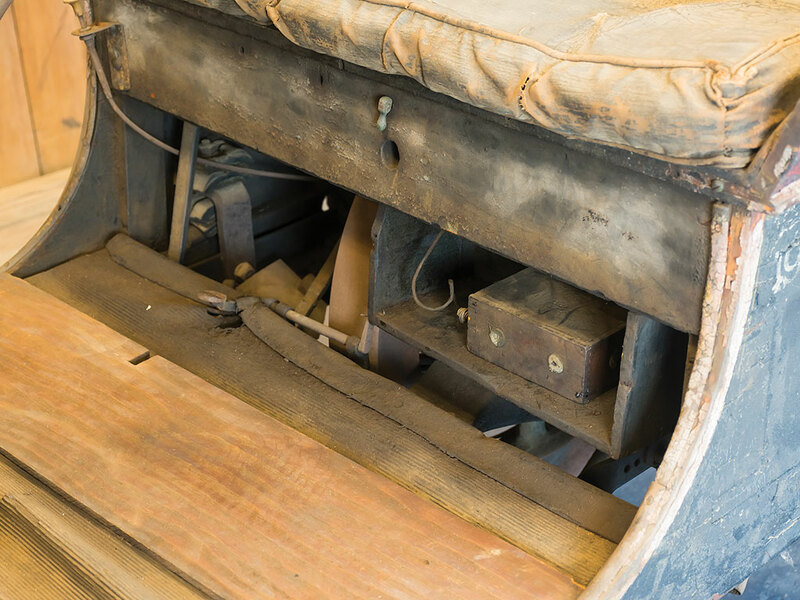 It was well made, simple to operate, and a good value. 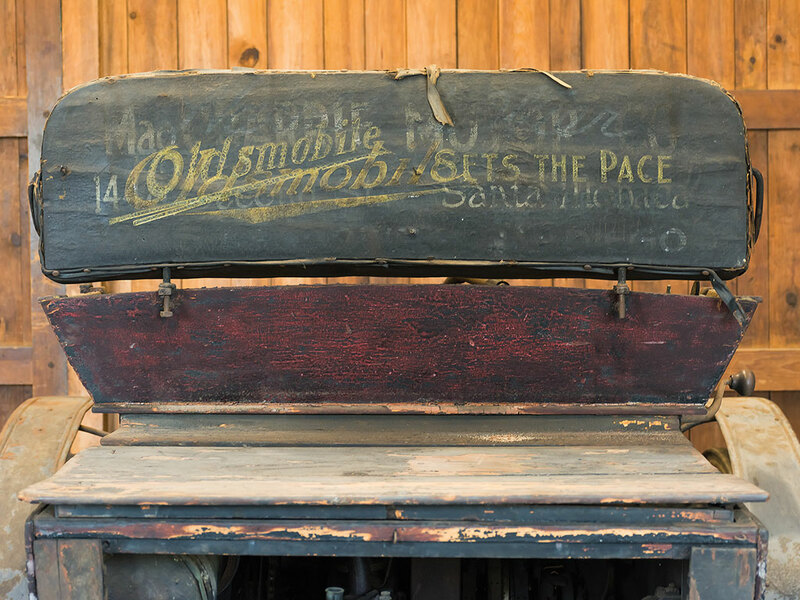 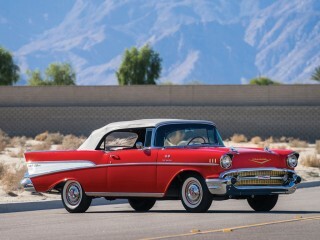 The Curved-Dash Oldsmobile quickly became America’s first volume car. 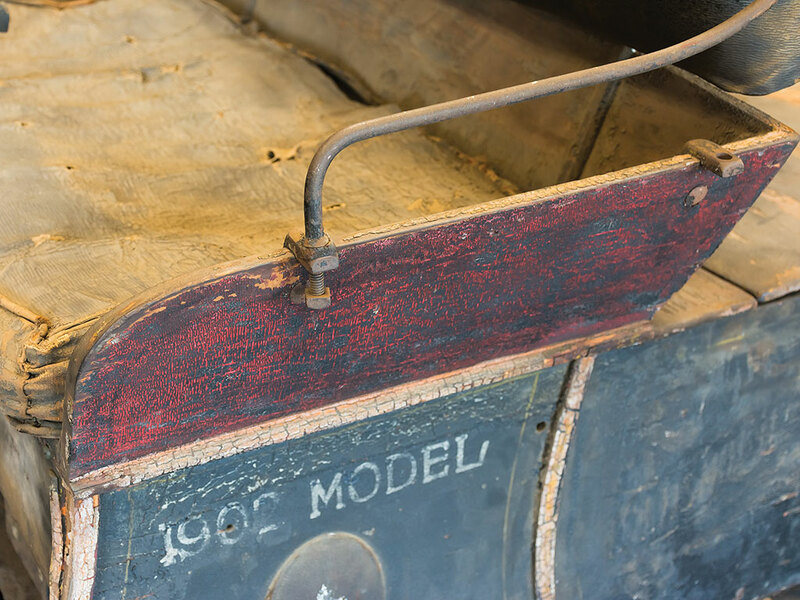 Olds sold 425 of the $650 toboggan nose cars in 1901 with another 2,500 or so in 1902, and 3,924 in 1903. 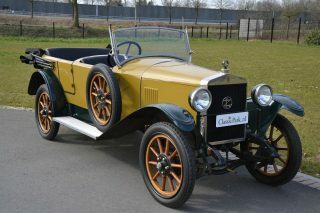 Production continued through 1904. 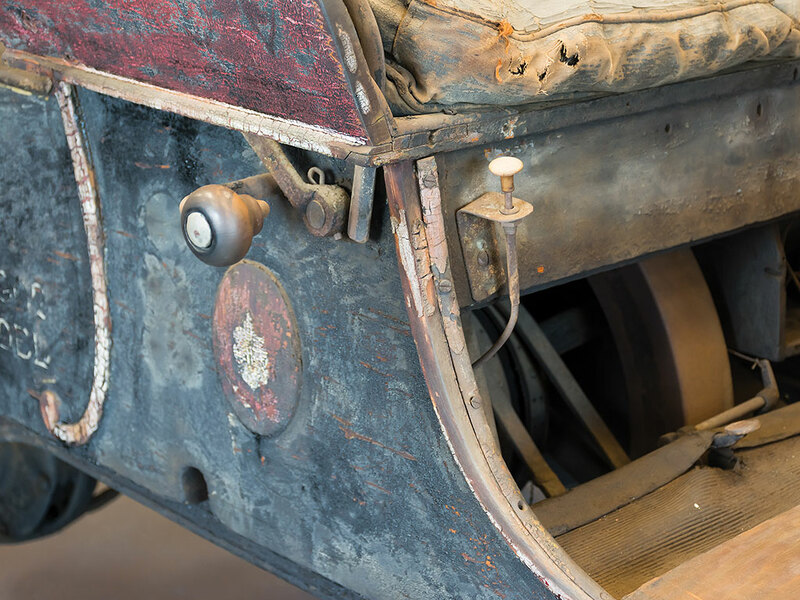 This vehicle is from the collection of Paul Teutul Jr., the well-known custom motorcycle builder and star of the American Chopper series. 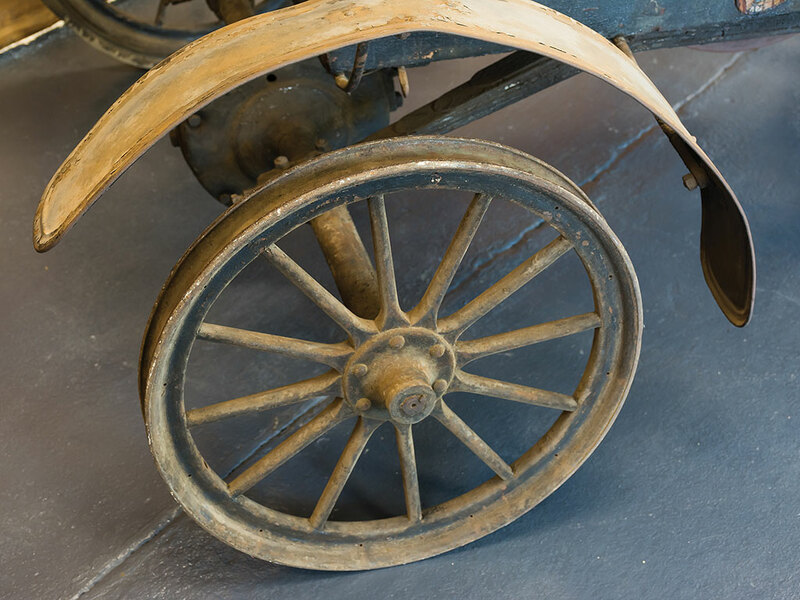 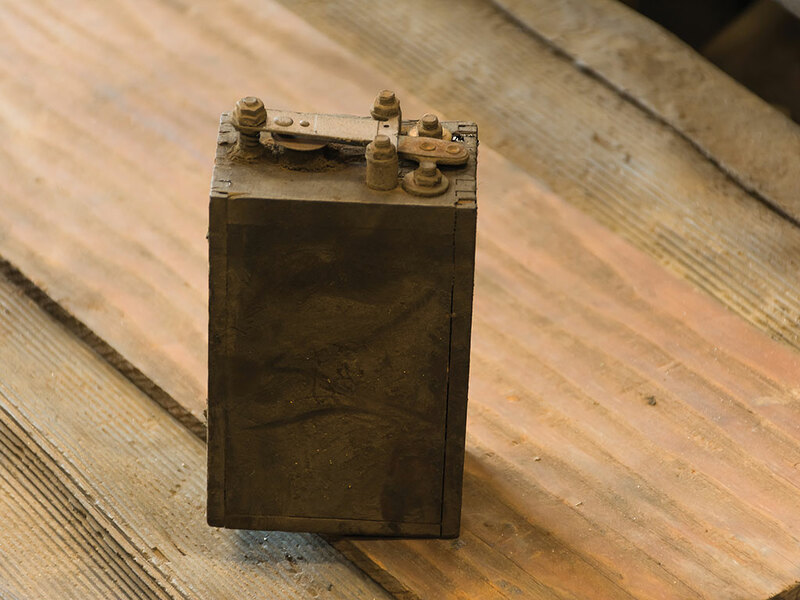 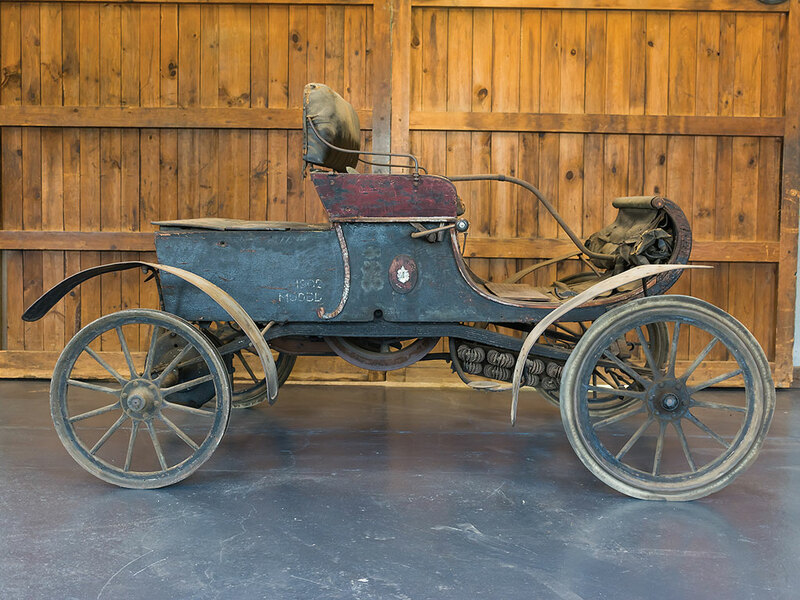 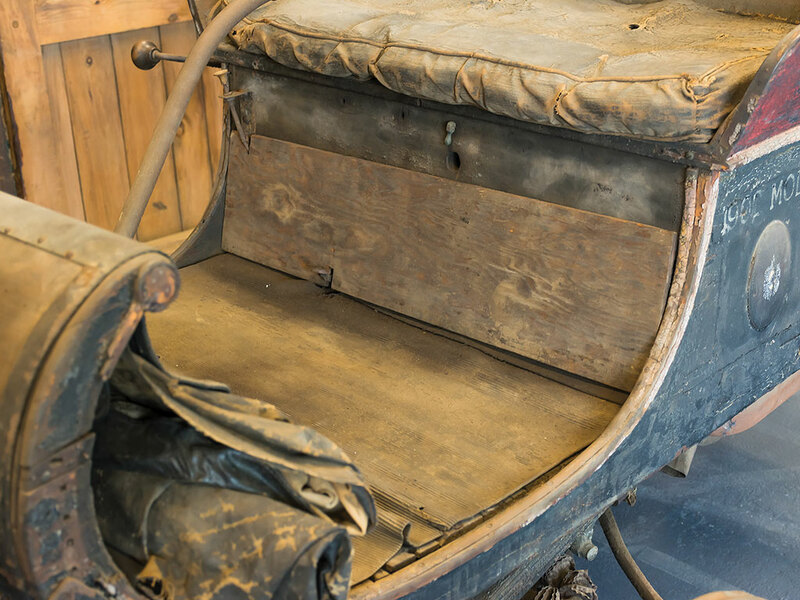 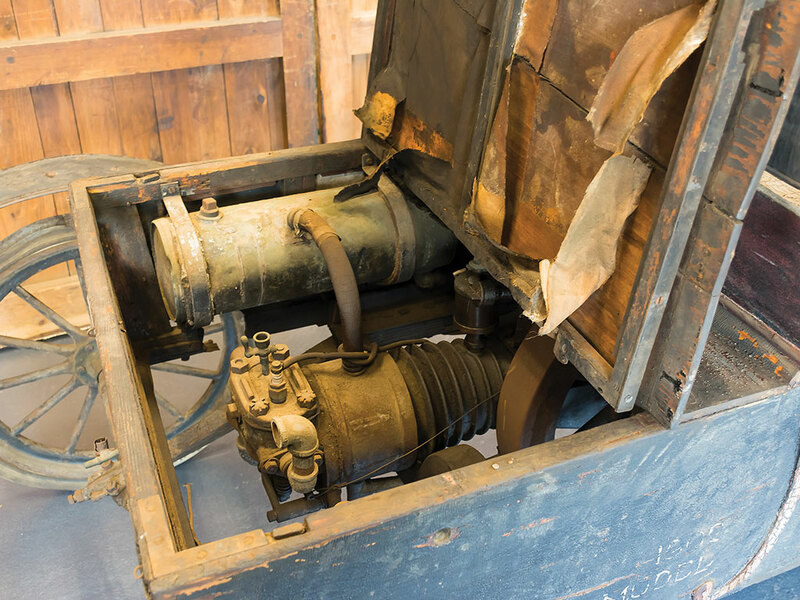 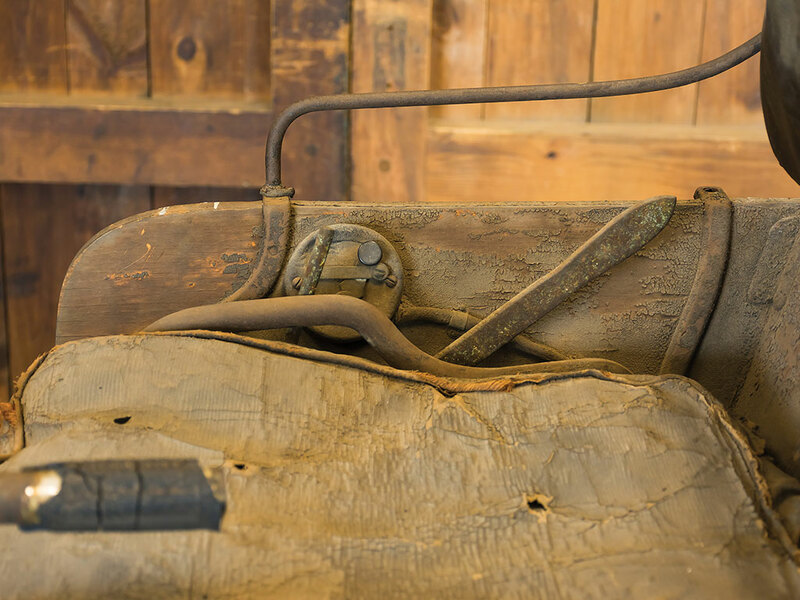 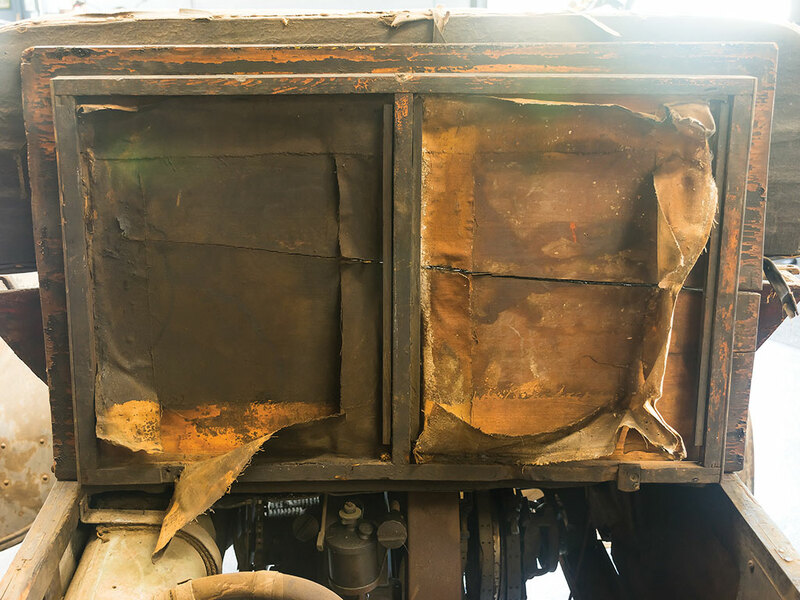 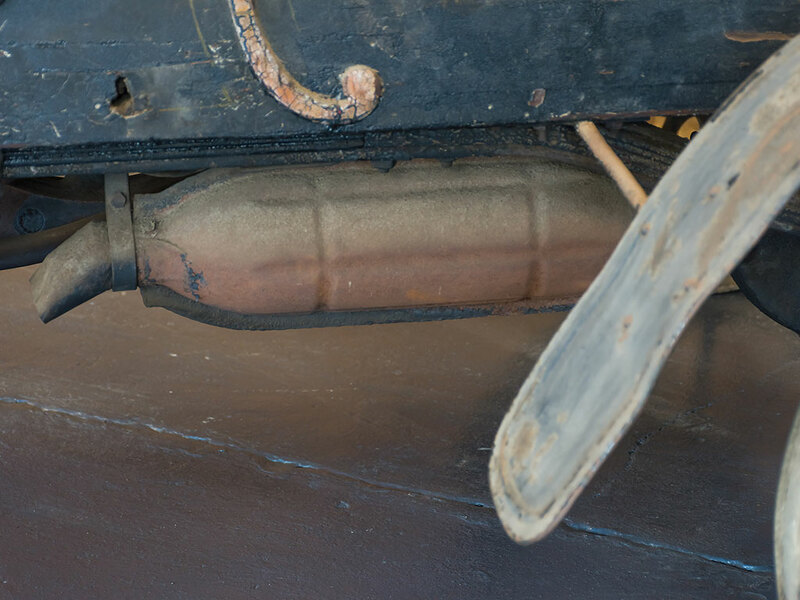 This remarkable survivor automobile is believed to be completely original and unrestored – almost unheard of for a 115-year-old car! 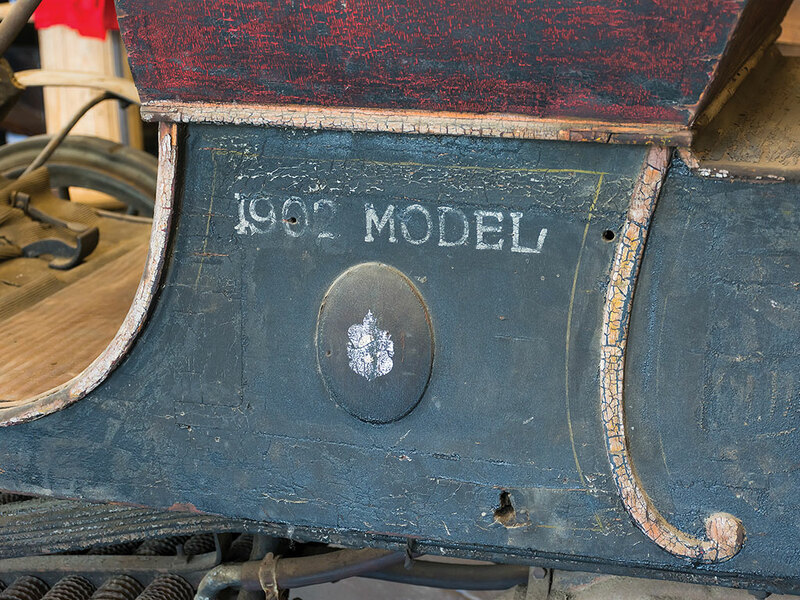 It appears to retain its original paint along with later advertising where it was likely shown in an auto dealer’s showroom. 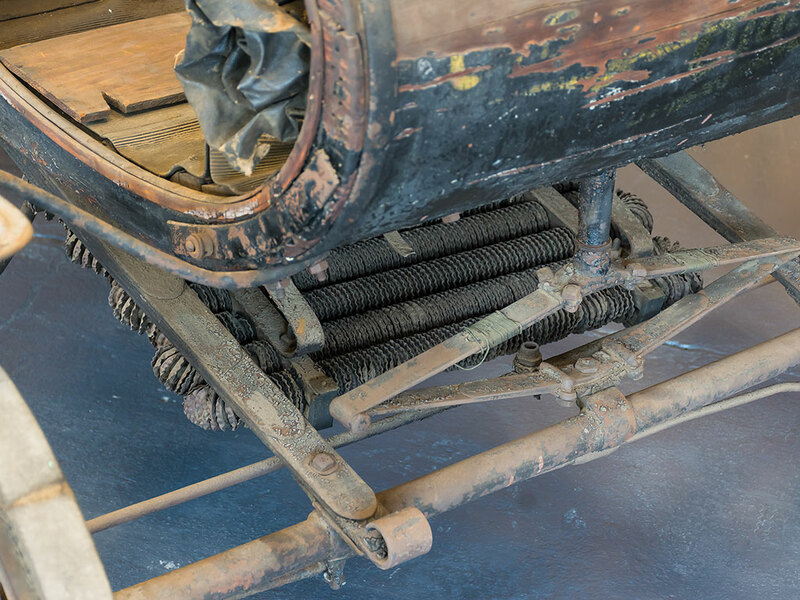 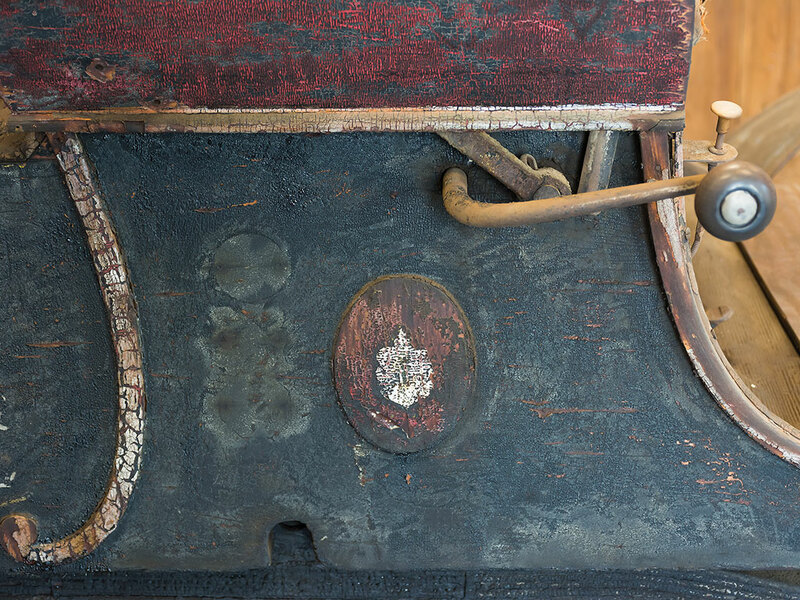 Though currently not running, Teutul notes that most significant parts are in place, including what appear to be the original solid rubber tires on steel rims. 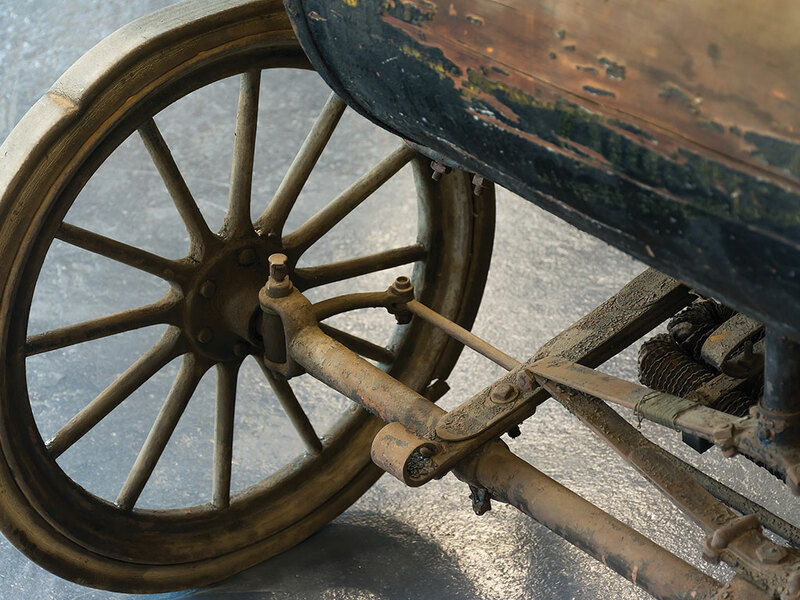 Once operable, this will no doubt be the star of the show wherever it appears, including as an ideal candidate for the London-to-Brighton veteran car rally. 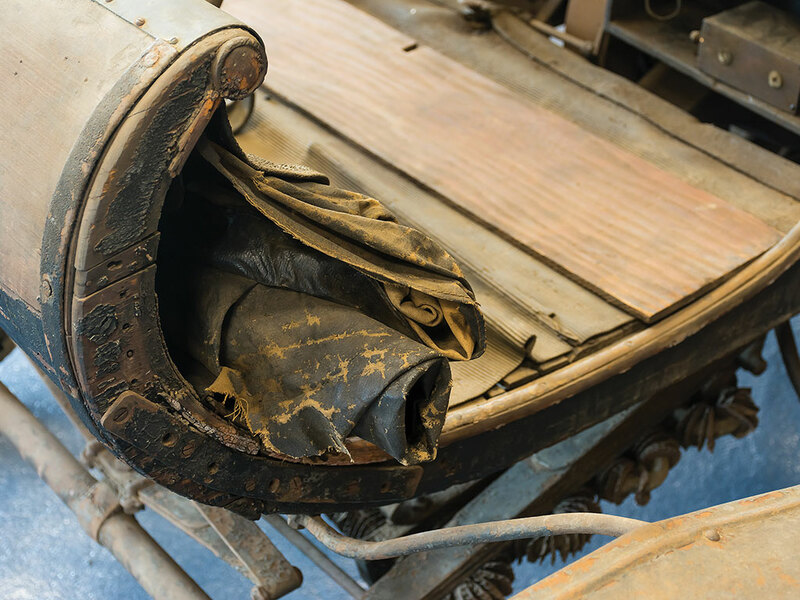 Or, it could be maintained as-is and showcase the originality of this incredible time capsule from the era of horseless carriages.